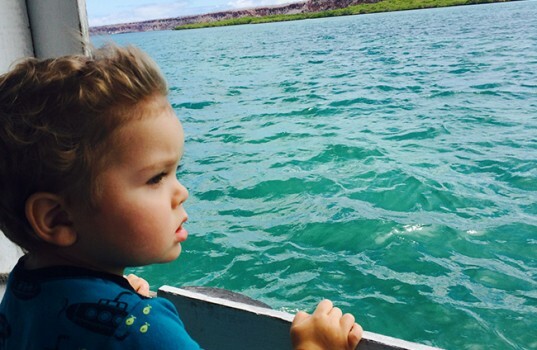 When we tell other parents that we took our two-year-old toddler to the Galapagos Islands they usually have one of two reactions – one, they think we’re crazy, or two, they ask how they can do the same. For those of you fitting into the latter category, this one is for you. 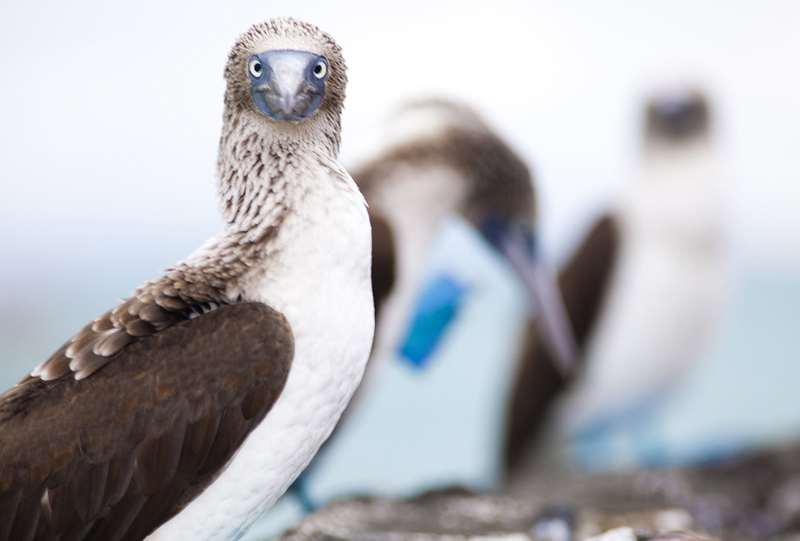 Many people think of the Galapagos Islands as a bucket list item that costs over $10,000 and is all but impossible to actually visit. 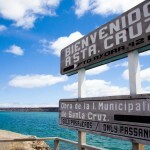 They also think that you have to take a cruise from the coast of Ecuador. Luckily none of those things are true. 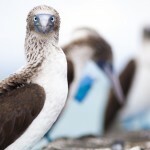 The Galapagos are actually “quasi-easy” to get to (I only use the term “quasi” because some people don’t view the travel time as “easy” in any way) and you can go on a budget. It’s approximately 12 hours from LAX to Guayaquil, Ecuador depending on how many layovers you choose and how much time is between each flight. Then it’s another two-hour flight to get to the Galapagos Islands. Baltra Island is where the airport is located but you can’t actually stay on this island. 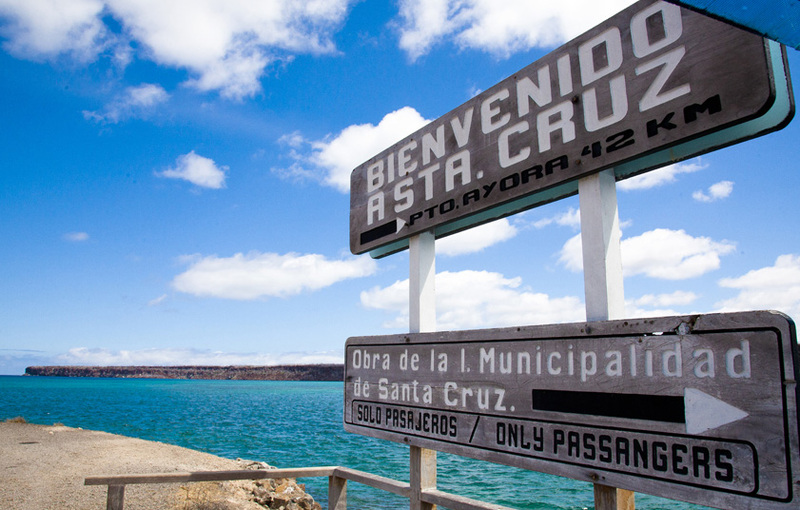 Once you land there, you take a five-minute bus ride to a ferry, which takes you to Santa Cruz Island, the main tourism hub for all of Galapagos. 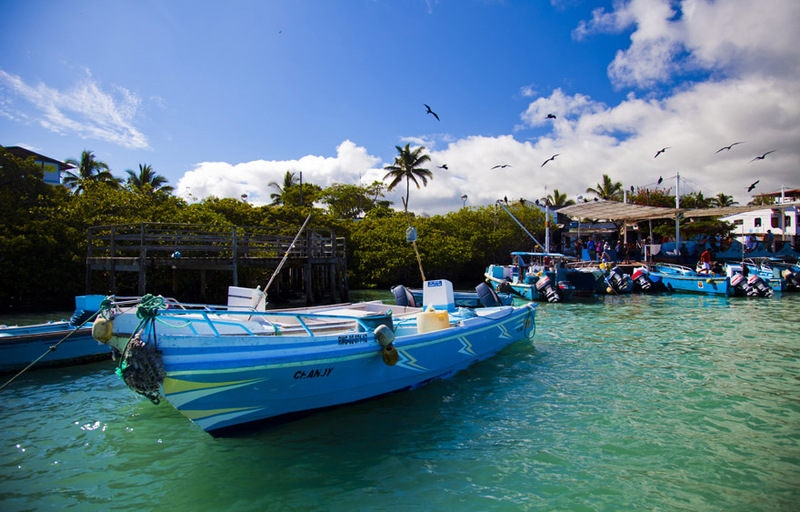 The ferry itself only takes about ten minutes and provides you with your first real glimpse as to what awaits you in the Galapagos Islands. Let’s just recap quickly before moving further… you face a first flight, second flight, third flight, bus, ferry, taxi, rinse and repeat. 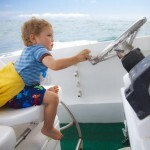 Frightened parents, you got this! Keep your eye on the prize. 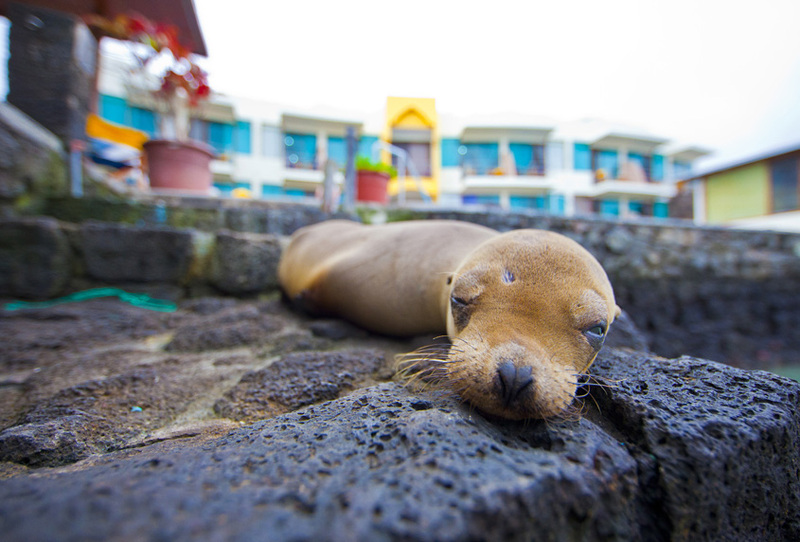 This is the Galapagos we’re talking about, and it’s worth every single layover and transition. 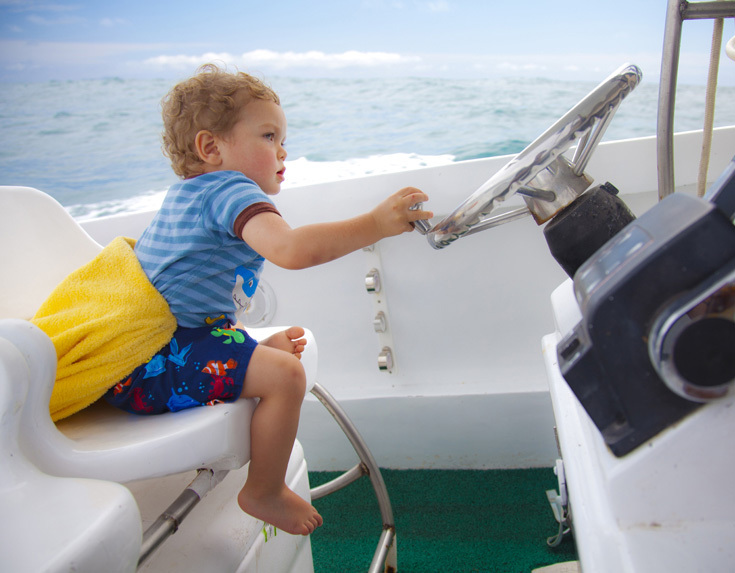 Once on Santa Cruz Island, you won’t be thinking about what it took to get there. 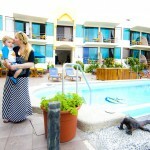 On Santa Cruz, most of the action is in the main city of Puerto Ayora. It is an adorable port town filled with lively shops, quaint restaurants, sea birds and the locals, who are extremely friendly. They seem to especially love toddlers! 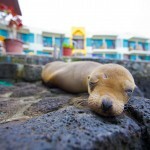 But the real attractions are the natural inhabitants of the Galapagos. 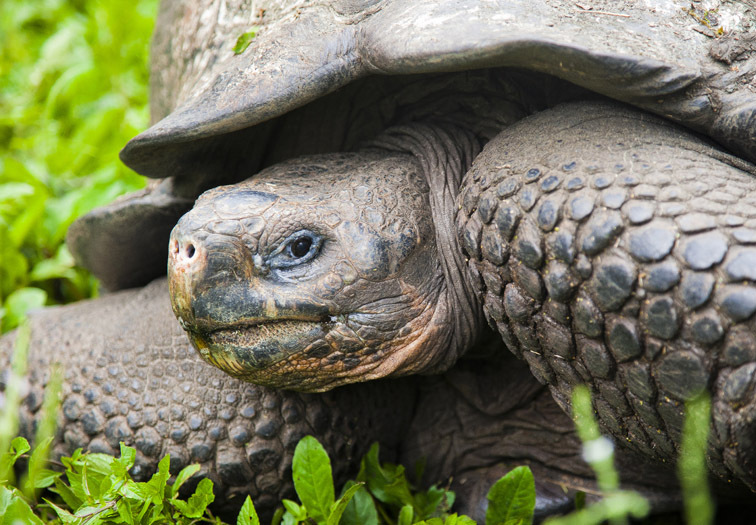 You will have the chance to see Galapagos Giant Tortoises in the wild. Walk through beautiful vegetation to witness these gentle giants eating ripe papayas and relaxing in a huge moss-covered pond. Do you get muddy? Yes! Tortuga Bay is another must-see. At this white sand beach with a calm lagoon you can see marine iguanas swimming in the ocean. It is a sight not to be believed and little ones love it. You can splash and play at this beach for hours. The Charles Darwin Research Station is a great place to learn about the geology and conversation of the islands. 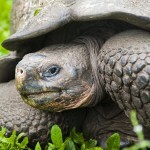 This is a great spot for family photos ¬– the baby giant tortoises are the cutest little things you will ever see. 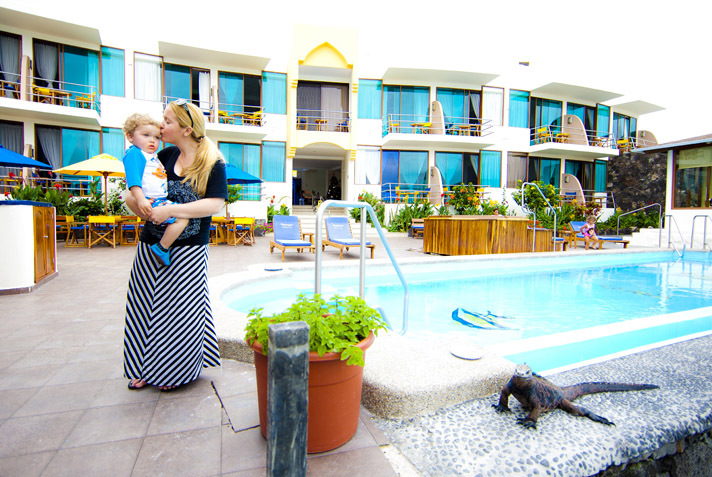 Hotel Solymar on Santa Cruz is right near the ocean and marine iguanas and sea lions hang out near their restaurant and pool. The hotel staff was extremely friendly and made extra effort for guests with toddlers (yes, there are others crazy enough to travel with kiddos). They truly made sure our every need was met, including rain boots for muddy adventures. • The Ecuadorians were wonderful about allowing those with toddlers to board the airplane first. Take advantage of it! • The sun can be very harsh. (Remember that Ecuador lies directly on the equator.) Pack plenty of sunscreen and sun hats. • Need something specific for your toddler – favorite type of diaper, bagged food, over the counter medications, etc. – be sure to pack it. You can only buy basic things on the island and there isn’t a lot of variety. • Bring some cash. U.S. dollars are accepted. • If crowds bother you, travel during the slower months of April, May, September or October. • Try to learn some Spanish before visiting. 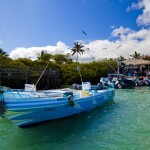 It’s not hard to find someone that speaks English once you get to the Galapagos but it can be difficult in Guayaquil. • You can have laundry done on the island very inexpensively, so no need to over pack. Nicole Staab is President of photography, printing and video production firm ROF Industries, Inc., out of Huntington Beach. She is married to her best friend Chris and together they have a teenager and a toddler. Nicole and Chris are avid travelers who enjoy showing their children how big this world really is. Connect with Nicole at nicole@rofindustries.com.